The Seven Pro Tumblr Theme is one of the most complete premium Tumblr themes around. It has so many features and a skin per area functionality that allows you to create many different sites from a single theme. 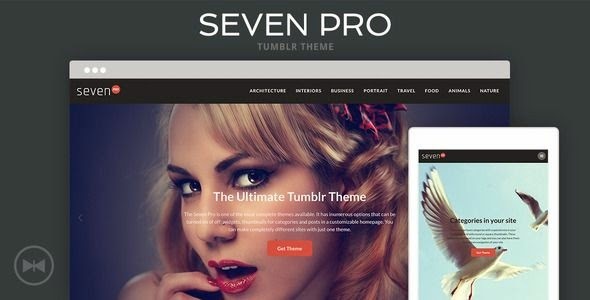 Item Reviewed: Seven Pro Complete Premium Tumblr Theme 9 out of 10 based on 10 ratings. 9 user reviews.